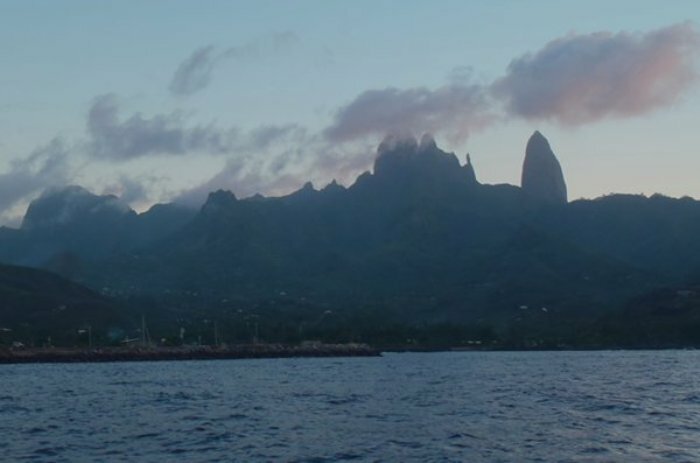 Today we sailed from Hiva Oa to Ua Pou. There was not much wind and so it was sunset by the time we reached the anchorage. Even so, a local guy come over in a canoe to give us a photocopy of the town plan so we will know how to buy our arts/crafts and pizzas tomorrow. Here is a picture of the anchorage as we came in, showing the huge volcanic plugs that form the center of the island.